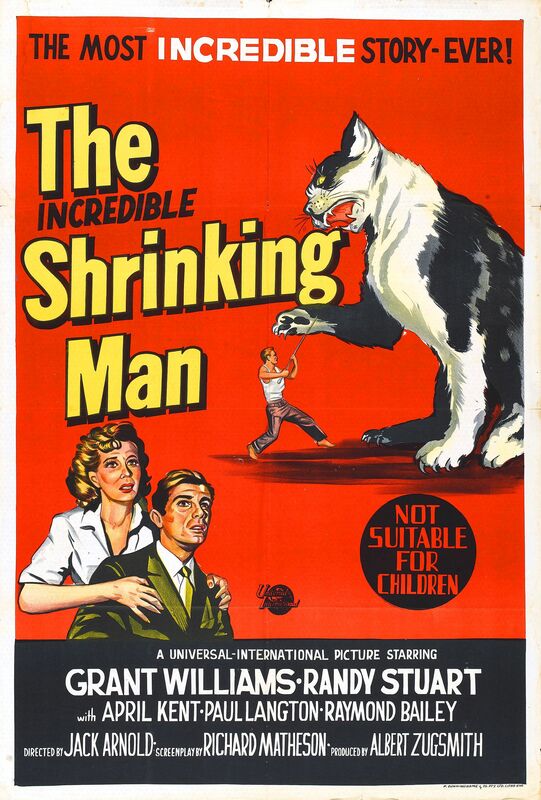 Saturday October 24 7:30 PM THE INCREDIBLE SHRINKING MAN (1957) 81 min D: Jack Arnold. 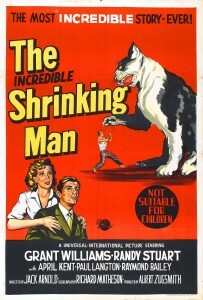 The film that created an altogether different perspective of cats and spiders remains one of the most well made 1950s pictures of any genre. Grant Williams portrays the proportionally shrinking Scott Carey whose entire world literally closes in on him. Richard Matheson adapted a suspenseful script from his novel that is heightened by ingenious special effects and stellar supporting turns by Randy Stuart, April Kent, Paul Langton, Raymond Bailey and William Schallert.